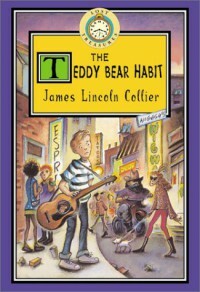 The Teddy-Bear Habit is the story of the adventures of a twelve-year-old boy in Greenwich Village in the mid-1960s. George Stable is...not rebellious. No, he's more real than that. He simply tries to get what he wants in a world of adults who don't understand, and is not above stretching the truth or breaking some rules if that's what it takes. He doesn't glory in that, and at times almost feels a little guilty, but he does what he has to.It's been a long time since I was his age. But to me, that attitude rings very true. Most kids, I think, do what they think they must to get what they really want. George, the first-person narrator, feels extremely real and modern - even though the book is now almost forty-five years old.In fact, The Teddy-Bear Habit reminds me very strongly of another first-person story of a New York teen who lives somewhat outside the rules: Holden Caulfield. Truth to tell, the book really strongly reminds me of The Catcher In The Rye, so much so that at times the two books have been slightly merged in my memory. The Teddy-Bear Habit was written 16 years after Catcher, of course, but both books have a remarkably modern, timeless feeling. The city of New York plays a key role in both books, perhaps a bit more so in The Teddy-Bear Habit. George's inner voice is remarkably like Holden's, but younger and not as alienated.George wants to be a rock and roll star, and to be on television. His father hates rock and roll, and won't allow a television in their house. He (the father) is, however, an extremely funny character; a modern painter who makes a living writing and drawing comic books. 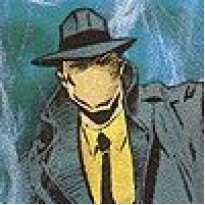 The passages about his heroes, Amorpho Man and Garbage Man, are simply hysterical. I could have read a whole book of that stuff!George has another problem, too: he's a decent singer, and is learning to play the guitar secretly from a music-shop owner, but he has self-confidence issues. He is, simply, dependent on his teddy bear. When it's not around, he's a "loser".Complications ensue, ones that you'll surely find very memorable. The book is at times quite thrilling. But between the humor and the thrills, it never loses that "real" feeling.There are a few jarring moments when the Beatles or Murray the K are mentioned as examples of modern coolness. But then, the book was published in 1967.Speaking of which, avoid the "Lost Treasures" edition if you possibly can. The original edition (and most later ones, until recently) featured wonderful illustrations by Lorenz, whose work also appeared often in The New Yorker, where he was art editor for many years. The illustrations are very funny, and should not be missed! I don't know why they were eliminated from the Lost Treasures edition, but eliminating them makes as much sense as eliminating the classic Tenniel illustrations from Alice.I recently read the book to my son, age nine. He loved it, and demanded that we seek out the sequel. Unfortunately the sequel doesn't live up to The Teddy-Bear Habit, and isn't quite appropriate for my son - yet. But The Teddy-Bear Habit itself is firmly ensconced as a favorite for both of us.